VOLANSYS Android Customization team has expertise in Android Application Development covering android multimedia framework and driver development. 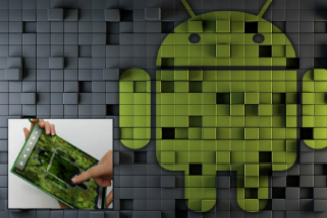 Android, Google’s open source operating system is ruling the Smartphone market and has earned a strong foothold in the smartphone and tablet space. Today, Android is one of the most widely used operating systems worldwide, with over 700 million devices activated globally and over 1.3 million devices being added every single day. VOLANSYS possesses unique expertise in the Android platform right from the lowermost layer to top level Application building. We have ported and optimized AOSP (Android Open Source Project) on various target platforms including virtual platforms. VOLANSYS is a preferred Android app development company offering scalable, cloud ready and cross-platform apps. Do you need to run Android with optimum performance on a small footprint device? We could help you with Android hardening by minimizing the Android file system for best possible performance while making target devices more secure. Do you need to run Android on a device with a specific interface? We could help you with adding specific interface support in Android. If you have a legacy solution that now requires to be migrated to a NoSQL database due to increasing growth of the database, we can also help you manage & migrate the database to the NoSQL Cloud Database. We have extensive experience with migration in stages, where systems are live with modern and legacy databases co-existing. We can help you in Android customization by modifying Android framework components as well as adding custom features for aesthetics, visual appeal, usability and optimal navigation. 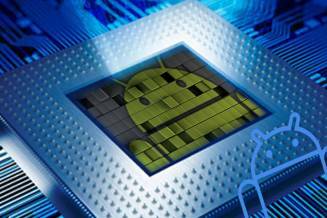 VOLANSYS has experience in Android hardening and minimizing the file system to perform well and to make target devices more secure. Additionally, we also do Android Application Development. Staying connected has become utterly important now-a-days. 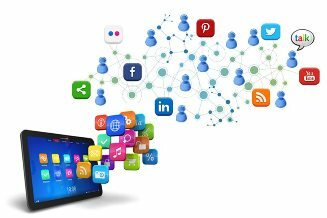 This project was one of the rare ones that involved compiling social networking facilities onto one single hub platform so that the end-user can access all his social networks using a single interface. The project included developing an add-on LCD board with capacitive touch capabilities, to be used with OMAP5 EVM for a premium 3rd party EVM hardware manufacturer who was partner of one of the largest silicon companies. The customer provides virtual prototyping technology for embedded systems. Their mission is to reduce the time to market for system on chip (SoC) designs by providing a unified virtual prototype which meets the system level design needs of the architect, firmware developer and software engineer.